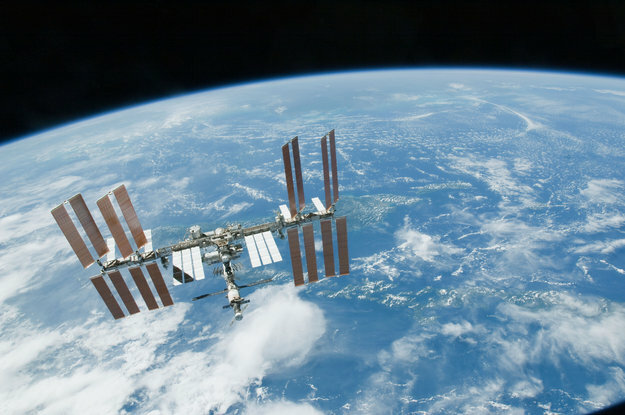 After six months in space ESA astronaut Alexander Gerst, NASA astronaut Serena Auñón-Chancellor and Roscosmos cosmonaut Sergei Prokopyev returned home from the International Space Station. 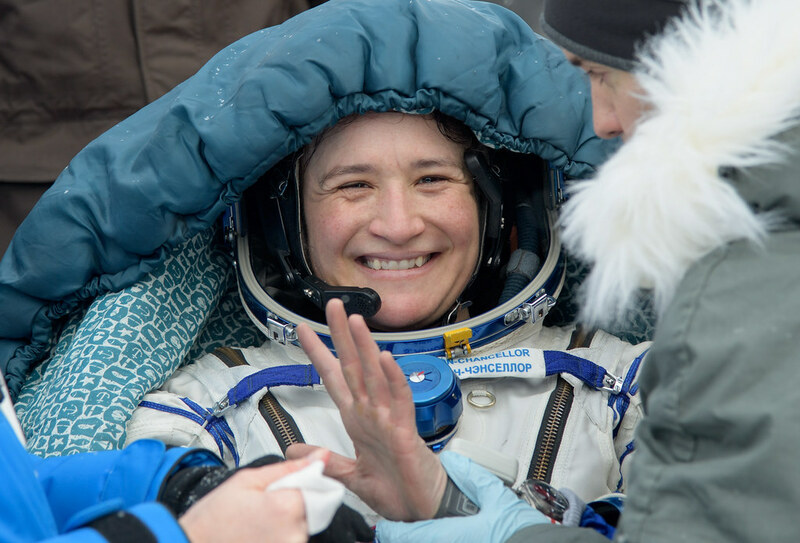 The trio said their farewells to the three astronauts they left behind on the Space Station, Canadian astronaut David Saint-Jacques, NASA astronaut Anne McClain and Roscosmos commander Oleg Kononenko. 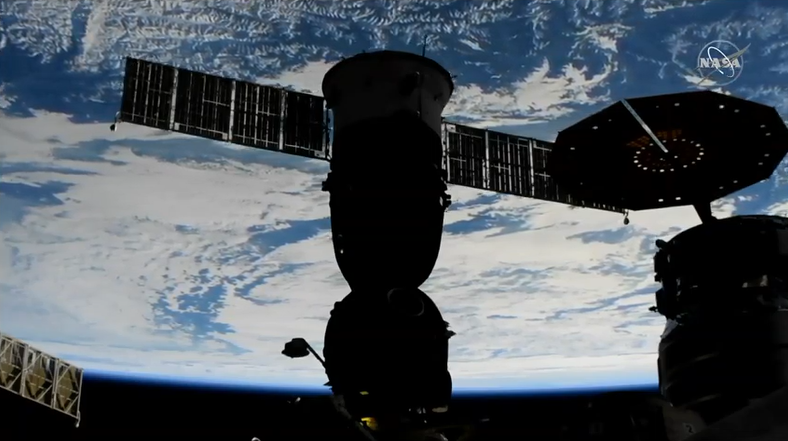 Last view before getting in the Soyuz. 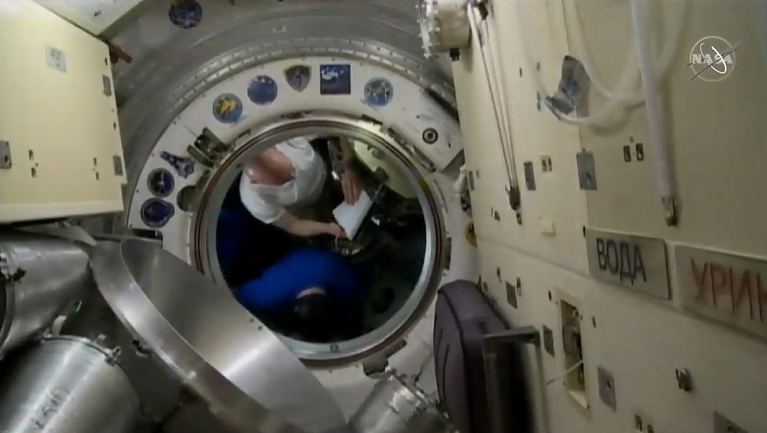 The hatches between the spacecraft and the International Space Station were closed at 22:40 GMT (23:40 CET). After leak checks and donning the Sokol pressure suits, the hooks holding the spacecraft to the International Space Station were released and the Soyuz started to drift as springs pushed the spacecraft away. Two thruster firings were initiated to increase the distance between the spacecraft and the International Space Station as planned. Over two orbits of Earth the astronauts reported everything was going smoothly in the run-up to the deorbit burn that would put them on a trajectory towards their landing site in Kazakhstan. 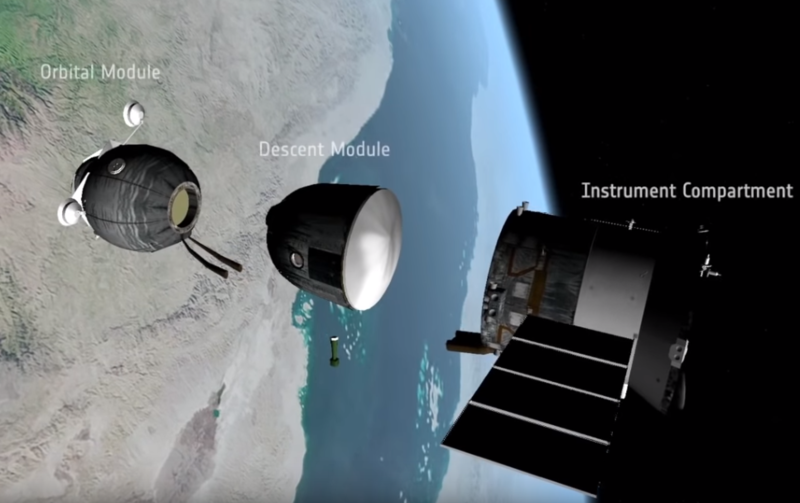 The deorbit burn was completed at 04:15 GMT (05:15 CET) followed by separation of the modules at 140 km altitude at 04:38 GMT (05:38 CET). Only the descent module with the three astronauts is designed to land on Earth. Radio contact was lost at 04:42 GMT (05:42 CET) for five minutes as the Soyuz entered our atmosphere at intense speeds and friction causes the temperature outside to rise to 1600°C. The command to open the parachute was sent at 04:48 GMT (05:48 CET) while travelling at around 11 km above Earth. Touchdown was at 05:02 GMT (06:02 CET) one minute earlier than predicted. 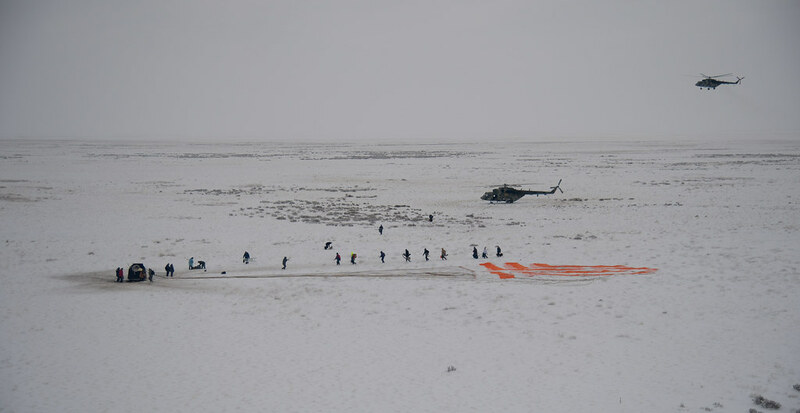 The three astronauts where safe and sound back in a very cold and foggy Kazakhstan, temperatures of –16°C were reported. After initial medical checks the trio were brought to a nearby medical tent before heading to their next destinations.